In this forum, I’ve been steadily working through the web of obfuscations, convoluted arguments, inexcusable omissions, and downright distortions that is Rabbi Moshe Meiselman’s Torah, Chazal and Science. However, Rabbi Yaakov Menken, the charedi polemicist of Cross-Currents fame, recently published an adulatory review of Rabbi Meiselman’s book in the journal Dialogue (which coincidentally has Rabbi Meiselman on the editorial board). This had the benefit of drawing my attention to further falsifications in Rabbi Meiselman’s book that I had previously overlooked. It also demonstrates a fascinating sociological aspect of the charedi world, as we shall see at the end of my review of his review. Some of Rabbi Menken’s eager adulations of Rabbi Meiselman’s book are hilarious. For example, Rabbi Menken notes that an example of Chazal’s advanced knowledge of the natural world is that they presented Pi as being three, because this must have been because they knew it was an irrational number and cannot be expressed exactly! But let me carefully work through some of the problems with Rabbi Menken’s review. 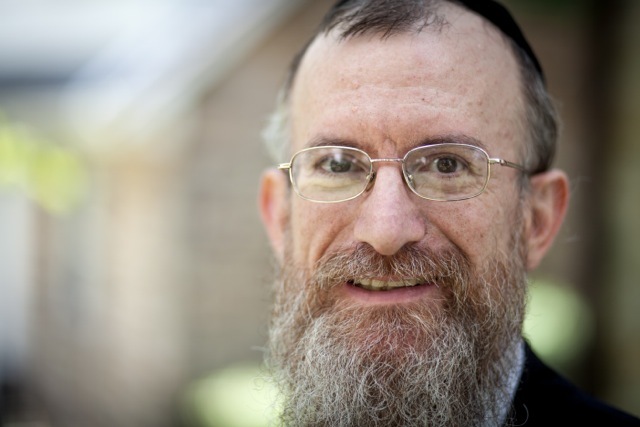 At the beginning of his review, Rabbi Menken explains why he thinks that Rabbi Meiselman is “in many ways, the ideal person to address this controversial issue. Because he was a dedicated and close talmid of Rav Yosef Dov Soloveitchik… he is best able to rebut those insisting that their ideas are compatible with Rav Soloveitchik’s school of thought.” Who is "those"? You mean all Rav Soloveitchik’s other close talmidim and family members? They all regard Rabbi Meiselman as a completely dishonest charedi revisionist of Rav Soloveitchik. I know, I’ve spoken to them. Besides, you don’t even need to be a talmid of Rav Soloveitchik to know that Rabbi Meiselman grossly distorts his teachings – you just need to be able to read. The most egregious example of Rabbi Meiselman distorting Rav Soloveitchik’s teachings in this area is when he quotes the Rav as saying that evolution and the Bible have long been recognized as being at odds – without revealing that one paragraph later, the Rav explains that this is a thoroughly mistaken approach! Such brazen dishonesty is, unfortunately, rampant throughout Rabbi Meiselman’s book. Rabbi Menken describes Rabbi Meiselman as showing that the only sources indicating the fallibility of Chazal are Rabbeinu Avraham ben HaRambam, and those who lived after the scientific revolution and were unsettled by it. Of course, this is nonsense. There are many dozens of sources amongst the Rishonim and early Acharonim who present this view. Most notably, this occurs with the Gemara in Pesachim, where the Sages of Israel state that the sun passes behind the sky at night, and Rabbi Yehudah HaNasi observes them to be incorrect. Rabbi Meiselman has an extremely muddled discussion of this topic, in which he eventually is forced to concede that most Rishonim do understand this Gemara to mean that the Sages of Israel were wrong, but he claims that these sages did not derive this position from the Torah. Yet the same view is presented by Chazal in Bava Basra and Bereishis Rabbah where it is connected to pesukim! Elsewhere, Rabbi Meiselman claims that these sages of Israel were not Torah scholars, which is likewise refuted by the Gemara in Bava Basra and Bereishis Rabbah. Furthermore, if Chazal could mistakenly believe that the sun goes behind the sky at night, why could they not also mistakenly believe things that were universal belief for much longer, such as spontaneous generation?! Rabbi Menken claims that Rabbi Meiselman is following the consensus of Rishonim with his work, but in fact he is going directly against the consensus of Rishonim. Rabbi Menken happily accepts Rabbi Meiselman’s arguments that the relevant section of the maamar of Rabbeinu Avraham ben HaRambam is a forgery. David Ohsie has presented a lengthy series of posts refuting these arguments. I would simply like to point out that the only people who find Rabbi Meiselman’s arguments to be remotely convincing are those who, for religious reasons, are convinced that this approach is heretical and thus Rabbeinu Avraham could not possibly have said it. Rabbi Meiselman makes reference to several scholars of Maimonidean manuscripts that he consulted with regarding aspects of this discussion, and when I contacted them, none of them knew anything about his argument, and it seems that he was not interested in asking their opinion. Rav Hirsch, then, does not present this approach as a particular response to a specific issue. Furthermore, he clearly states that he believes this to be a normative view (albeit obviously with those who differ). The same goes for Rav Herzog, who presents Rabbeinu Avraham ben HaRambam’s position as being the normative viewpoint. But you wouldn’t know from Rabbi Meiselman’s book that Rav Hirsch says this, because Rabbi Meiselman never once quotes Rav Hirsch’s writings on these topics, even though they are the most thorough pre-20th century treatment of these topics. Rabbi Meiselman is perfectly entitled to adopt the view that Chazal were infallible in their definitive statements about the natural world. However, it is a falsification of the history of Torah scholarship to deny that there was a major school of thought that felt otherwise, or to dismiss the statements of figures such as Rav Hirsch, Rav Glasner and Rav Herzog. At the end of the day, regardless of the sources for and against the notion that Chazal could be mistaken in scientific matters, what is the logic to it? Rabbi Menken claims that "Rav Meiselman's statement is reasonable and straightforward: that Chazal were careful with their words, and would only make a definitive statement that they knew to be true." In fact, Rabbi Meiselman’s statement is not reasonable in the slightest. Yes, Chazal were careful with their words. Still, like every human being that has ever lived, they would make definitive statements that they believed to be true. One can never ultimately know if one’s statements are true. Rabbi Meiselman has no problem dismissing hundreds of scientific statements made by the Rishonim and Acharonim; he does not see it as impugning their integrity. There is no reason why Chazal should be any different. Rabbi Menken claims that Rabbi Meiselman is a Rosh Yeshiva with a "clear understanding of modern science." I’m not sure on what basis Rabbi Menken, a computer scientist, is able to endorse Rabbi Meiselman in this way. Rabbi Menken makes an astonishing claim regarding Rabbi Meiselman’s approach to Creation and the Flood: “In each case, he shows how the Biblical passage may be understood while neither discarding its plain meaning nor rejecting facts known to scientists.” Likewise, Rabbi Menken later writes that Rabbi Meiselman succeeds in explaining Genesis “without compromising science.” Well, just about every scientist in the world (of those in the relevant fields, and lacking a religious agenda) would find that laughable. Rabbi Meiselman claims that every single field of science dealing with matters pre-dating the Deluge is fundamentally invalid. He claims that they are all based on an incorrect assumption that the laws of nature have never been different. In fact, Rabbi Meiselman is ignorant of the very basis of the fields of science which deal with that period. The constancy of nature was not an assumption for them – it was a conclusion, first drawn by William Smith, who observed that the geological layers show an orderly, uniform pattern, not the chaotic mess that the religious Christians of the time expected, as the result of their belief (along with Rabbi Meiselman) in the miraculous and non-naturalistic creation of the world. It’s as a result of the discoveries of Smith and others that there are multi-billion dollar industries based upon the work of geologists. Geology works, precisely because the world did develop according to an orderly, naturalistic process, and not the supernatural, entirely different process from today that Rabbi Meiselman insists upon. And let us not forget that it is not only with regarding to creation and the flood that Rabbi Meiselman discards science. There are many statements in the Gemara that are at odds with modern science, which Rabbi Meiselman simply ignores, probably because he has no way of satisfactorily dealing with them. Chazal make definitive statements about the gestation period of different animals, the spontaneous generation of salamanders from fire, and all kinds of things which, following Rabbi Meiselman’s principles, one would have to accept as being factually true, even though they are completely at odds with science. If somebody wants to simply say that all modern science is bunk, well, so be it. But to reject (without explanation) the fundamentals of physics, geology, paleontology, biology, and archeology, which are accepted by all scientists in those fields, while simultaneously claiming that one “understands modern science” and is not “rejecting facts known to scientists” or “compromising science” is laughably dishonest. Now, this blew me away. 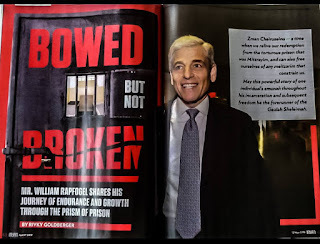 After all, Rabbi Meiselman presents positions and statements that the vast majority of the Gedolim would find to be every bit as heretical as my own. For example, there are numerous passages in the Gemara and Midrash which discuss various cases of spontaneous generation, according to the unequivocal consensus of all the Rishonim and Acharonim. Yet Rabbi Meiselman comes along and insists that all these Rishonim and Acharonim did not know how to learn these passages, and innovates a new explanation of them. This brazen disregard for their Torah scholarship – which, for the record, I myself strongly dispute – would be regarded by most, if not all, the Gedolim as completely unacceptable. Indeed, there was one book that was presented as the Authorized Response to Slifkin, Rabbi Reuven Schmeltzer’s Chaim B’Emunasam, which featured approbations from many of the Gedolim who banned my books (unlike Rabbi Meiselman’s book, which features no approbations). In their approbations, several of the Gedolim specifically stated that one is obligated to accept the traditional explanations of the Gemara that are given by the Rishonim and Acharonim, and not to contrive new and non-traditional explanations in order to make the Gemara compatible with science. They are condemning precisely Rabbi Meiselman’s approach! Nor is this the only case of Rabbi Meiselman presenting positions that the Gedolim oppose. He makes several statements that the Gedolim would find unforgivable. For example, he states that Chazal “would only make definitive statements that they knew to be true – and, along with those, made tentative statements that might well not be true.” Can you imagine Rav Elya Ber Wachtfogel or Rav Moshe Shapiro accepting that some of Chazal’s statements, such as those describing the earth-mouse and which involve derashos from pesukim, are only tentative statements about the world that might well not be true?! Rabbi Meiselman is certainly not explaining the view of the Gedolim who banned my books; he is simply taking a different anti-rationalist view that these Gedolim would likewise deem heretical. Why, then, does Rabbi Menken see them as presenting the same approach? Furthermore, even more fascinatingly, Rabbi Menken’s own book, Everything Torah, presents exactly the approach regarding the age of the universe that Rabbi Meiselman (and the Gedolim) condemn! What on earth is going on here? I think that the answer is as follows. It’s all about tribalism. It doesn’t matter that Rav Elyashiv and Rav Moshe Shapiro and Rav Elya Ber Wachtfogel and Rabbi Moshe Meiselman and Rabbi Yaakov Menken all have mutually exclusive views. It doesn’t matter that Rabbi Meiselman is a heretic by Rav Wachtfogel’s definition and Rabbi Menken is a heretic by Rabbi Meiselman’s definition. The important thing is that they are all against Slifkin, Zionism, Modern Orthodoxy, and all those other things. You can say that the Acharonim were wrong, you can say that the Rishonim were wrong, you can say that Chazal were wrong, as long as you say that Slifkin is wrong! The important thing is that they are all against Slifkin, Zionism, Modern Orthodoxy, and all those other things. And the Yom Hazikaron siren :). When I saw this video clip of a fiercely anti-zionist person pushing his baby carriage & flanked by to more children going wildly back & forth diagonally on Kikar Shabbos during the 2 minutes of the Yom Hazikaron siren, I started to "chap" something: the hatred of this camp is too deep to ever be successfully contained. Same for Menken & company. You can't argue rationally with them. It's hard wired in their irrational DNA. Thank you for being the lightning rod for these ideas. HKB"H, Chotamo Emmet. I have no doubt as to whose books will be read in generations to come. That's the problem...... the da'as Torah crowd have the sociological momentum. The idea that Chazal approximated pi as 3 because it is irrational is stated by the Rambam, in פירוש המשניות לעירובין. Is the Rambam also hilarious, Reb Natan? You misread what I wrote. What's hilarious is to claim that it PROVES that they knew it was irrational. Wait, did you mean that the FACT that they used three proves that they knew that it was irrational? If so, I retract my previous comment. That is indeed hilarious (but you do agree that according to the Rambam, at least, Chazal DID know the fact about pi). *If* any of Chazal had any more than a rudimentary math education, they would have to have known that it wasn't three. It was common knowledge by their time. But of course it isn't a given that many of them. At least some certainly would have. Tanach implies that it's three, but even by then anyone who knew math (which would have included any architects) would have known it wasn't. The questions is not whether they knew that it wasn't exactly three, but whether they knew that it was irrational. The Rambam says that they did know that it was irrational. Neither Chazal nor Rambam knew that pi is irrational. Rambam is credited with an early conjecture that pi cannot be exactly given which can be interpreted as it being irrational. I assume that many many conjectured this, but did not necessarily right it. In mathematics, you don't "know" something until you have a proof for it, but Rambam did not. In contrast, the Pythagoreans did prove that the square root of 2 is irrational and that had an enormous impact on how Mathematics developed in ancient times. Sorry- not a given that many of them *had* that education. Again, some or many may have. David Ohsie: You're using a modern, technical definition of "know." The status back then was probably good enough for the Rambam. Is there an alternate definition of stating that a number can never be known exactly, than that said number is irrational? I don't know if the Rambam considered himself bound by the rules of mathematical proofs, but he DID state that pi was irrational. @Nachum: Not true at all. Greek Geometry was based on the same exact notion of proof that we have today; except for a few mistakes, all of Euclid is perfectly good mathematics by modern standards. If the Rambam thought that you could know something mathematically without proof, then that would show that he was behind his times, not ahead of it. And if the Rambam thought that there was a proof at his time, then again, he was incorrect. Rather he conjectured it which is interesting, but not proof of advanced knowledge of anything. @dlz: I can't read Arabic, but if the translations are right, he didn't even state directly that Pi is irrational. He stated something that roughly corresponds to irrationality and it may be what he intended. @David Ohsie: Later, commenting on the second chapter of Eruvin, the Rambam states that the square root of 5000 can't be calculated exactly, "not due to deficiency of our intellect, but due to the nature of the value," in the same sense that the value of pi cannot be calculated. It may not be fully explicit, but it very much sounds like he believed that pi is irrational, just as square roots of non-square numbers were known to be irrational. Dear r Slifkin, the rambam on his hakdomo to perek chelek on the second group of people, seems to write that there are doctors and astronomers who think that chazal were wrong and that they are more clever, the Rambam then goes on and says that they are a cursed group of people because the understand chazal kipshuto,he then explains that the 3rd group of people are the correct one as they understand that chazal have a hidden understanding in their words.From this Rambam it seems that chazal had a very good knowledge in natural science, and this would contradict the position of R Hisch. It would also support the chazon ish and R moshe Feinstein understanding of the Rambam in Hilcot Treifos that the Rambam is not saying that Chazal were wrong in medicine. That Rambam is talking about aggadata - the material that appears in perek chelek. He is not talking about scientific discussions. Regarding scientific discussions, Rambam says explicitly in the Moreh that Chazal's knowledge was deficient. I am aware that he talks about aggadata however according to R Kafihs translation he says that they hold about chazal that:סכלים בכלל המציאות which means natural science. With regards to the Moreh it is just one isolated case where Rambam says they were wrong on science, just like the rambam in Moreh argues on a aggadate of pirkei derabbi eliezer in one instance, However these are isolated cases where Rambam permitted himself to do that. Even in his letter about astronomy he clearly prefers the approach that Chazal had a hidden meaning, he also mentions there that its only some of the sages which would seem that others argued on astronomy. And he also says that ultimately you should not discard reason, because the eyes are fixed in front and not behind. Rambam preferred to attribute that which he disagreed with in the Gemara to singular/minority opinions or allegory, but he did not depend on this. There are a number of places in the Moreh were he argues on Chazal. In the intro, he says that the Midrashim contain contradictions because the authors made mistakes. Rabbi Slifkin, you hit the nail on the head. It is all about tribalism. It does not matter what you think or even do, as long as you are part of the tribe. That is probably also why there is virtually no recognition among us Charedim of the major differences in Halacha and Hashkafa between the Chassidim and Litvaks; the desire to present a united facade. Rabbi Slifkin, I agree that it is tribalism but perhaps we should go a bit further. Why are these intellectual contortions necessary in the Charedi world? Why not just admit that Chazal may not always be right about science? The answer lies in the concept of Da'as Torah. Once you have the concept of Da'as Torah that means that the current rabbinical leadership knows everything about anything; hence, it is necessary that previous generations of rabbinical leadership also needed to know everything about anything and cannot be wrong. Why then do we need Da'as Torah? Well, among the Chassidic Charedim, it enhances the power of the Rebbe. If the Rebbe knows everything about anything and can never be wrong, then the followers must listen to him. This Rebbe worship is also making its way to the non-Chassidic Charedim, which accounts for the spread of Da'as Torah to this world as well. As for Rabbi Meiselman's opinions about the ideas of the Rov, I can assure you, as a former student of the Rov, that the Rov must be turning over in his grave to hear these opinions. Except that unless you want to say that chazal are in fact God, then they must be fallible since fallibility is a major distinguishing aspect between God and man. Also, there is the issue of masechet horayot. If rabbis cannot make mistakes then why is there an entire tractate of Mishna regarding what to do when rabbis make mistakes. Mistakes in halakha, no less. I think some chareidim believe that although individual rabbis can certainly err, as evidenced by masekhet horayot, anything that has entered the "mesora", abstract as it is, is inerrant; an irrational argument, but internally consistent. I'm not sure if it's just a matter of Tribalism per se. It's more of a matter of closing ranks. Admitting the fallacy, inconsistency, & incoherence of their views would force them to reexamine deep dark questions about leadership, authority & knowledge. People like R' Meiselman and R' Menken have invested decades of work and effort buying into and spreading the idea that these questions have simple obvious answers in the form of the Charedi way of life. Giving up on this conviction would entail recognizing that their life's work has been at least partially misguided. Not everyone can be like Shimon Ha'amsuni. I'm tired of having to choose between the two check boxes, as if this post is not exquisitely both 'emes' and 'kefirah' at the same time. We are not Xtians. Who said that the creation should result in chaotic mess??? The orderly geological pattern does not contradict the "naturalistic process", but in no way it can serve as a proof of it. The belief that natural laws were always the same is still what it is- a belief. The "X" stands for "Christ" (which is spelled xpist in Greek), so it's "Xians." Like "Xmas." > Rabbi Meiselman claims that every single field of science dealing with matters pre-dating the Deluge is fundamentally invalid. He claims that they are all based on an incorrect assumption that the laws of nature have never been different. Does he have anything to back that up? You refute it nicely, but I don't think that was even necessary. Without anything he can point to and show that nature has changed, it's just an assertion. He's saying, "Yuh huh, did too happen the way I want it to have happened." To which you can respond, "Nuh uh, did not," and you're done. As I've said before, this whole debate, along with the notion of heresy, is ridiculous. Suppose there was disagreement about what color the sky is. One side holds it's blue, and the other holds it's green. Does labeling one side "heresy" add anything to the discussion? Does it change the facts at all? I'm curious if the charedi alliance ever proposed the following resolution, which although is certainly not intellectually convincing, or even remotely rational, but would nevertheless resolve a certain number of internal inconsistencies: The only times that we may believe that chazal were erred in matters of science, are those instances which were recorded in the gemara, e.g. pesakhim 94, since, in effect, we are not disagreeing with the conclusions of the gemara itself; it is the conclusions of the gemara itself, - another ahistorical perspective - that are endowed with this mystical quality that guarantees their inerrancy. I'm curious if you ever came across this. I haven't done chazara on this material in quite a while, but didn't R. Meiselman and/or R. Aharon Feldman adopt suggest such a position? How does R. Meiselman deal with R. Elyashiv, such as "they can say it" and RSZ Aeurbach who agree that the opinions exist that Chazal could err but its subject to dispute? See this post for a discussion. Based on a comment on that thread, it appears that they rely on a distorted version of what RSZA said. http://www.rationalistjudaism.com/2015/05/guest-post-placing-discourse-into.html. it must be hard so hard to read all this aggressively coated intellectuality, r natan. Im not sure about tribalism, but I definitely hear why someone would say that. Fundamentalists must deny a measure of reality to sustain belief. In order to reject reality, direct research of oppositve views is avoided. Intellectual dishonesty creates discomfort in the individual, who proceeds to validate his/her belief through debate. In order to reinforce credibility in debate, the fundamentalist will state that he/she has "done the research" or "was once a skeptic". The lie becomes evident once it is shown that the meme host knows nothing about the subject and resorts to strawmen arguments and the ilk. After debating, the fundamentalist runs to like-minded sources to "mine" responses to arguments he/she has encountered in debate. Any responses that don't contradict the memeplexical structure can and will be used in future arguments. Absurdity in fundamentalism is therefore only limited to the nature of the memeplex. Due to a low filter on credible information, memeplexic rumor mills can be manipulated. Dialogue is not that awful. They allowed R Natan's response to Dr. Betech's book be published albeit with rebuttals in their magazine. 1. Idolization of chazal rests on ignorance of world history . Anyone who finds it "amazing" that some of chazal knew about pi are simply unaware that it was common knowledge already among the Greeks, many centuries beforehand. The same is true of many of their legal concepts and ethical allegories. These Greeks and Romans weren't stupid. 2. It bears repeating that "chazal" is a shorthand way of referring to about two thousand (2,000) named individuals in shas, spread out over about 500 years in two different empires. It is absurd enough to attribute infallibility to ANYONE; to attribute it to an entire epoch like is...beyond ridiculous. DF: On your point 2, what they will counter is that they are not claiming that each individual is infallible, but that the conclusions of the Bavli which are an infallible summation of the truth. This is based on a notion of the general acceptance of the Bavli by all authorities as evidence that its conclusions were endorsed by heaven. It would not have been "common knowledge" because they didn't have a proof, as they did for the irrationality of the square root of 2. It was probably commonly conjectured. I suggest you give R. Menken his props for spurring you to strikeout the phrase "which coincidentally has Rabbi Meiselman on the editorial board." Doing so can only enhance your reputation for intellectual honesty. This is my reply to R. Menken's post on Cross-Currents, "Addressing Dishonesty," asking why I would be R. Slifkin's lackey. As of last Friday, June 10, it was awaiting moderation and I could see it at Cross-Currents provided I was viewing from my office computer. Apparently a browser cookie allowed that. As of today (June 14), I can no longer see the comment. Whether this is because the cookie expired or the comment was rejected, I don't know. Three other rather innocuous comments I posted on the same day have also disappeared. A less forbearing person than I would have taken your suggestion of my lackeyhood as… snide. But my dictionary tells me that not all its meanings are pejorative. Alas, R. Slifkin is unable to post his own correction. Some computer glitch, I'm told. You may have noticed that in his offending post, the phrase "which coincidentally has Rabbi Meiselman on the editorial board" has been struck out (NOT DELETED), indicating concession of his factual error. You'll also find my comment toward the bottom of the page suggesting he credit you for inspiring him to do that. I am an equal-opportunity lackey. You've accused R. Slifkin of having erected a straw man: asserting that one’s opponent has made a claim he did not in fact make, and then attacking that nonexistent claim. In this case, it's "... Rabbi Menken notes... because they knew it was an irrational number...."
On technical grounds, you're right. You were citing R. Meiselman who actually said that Rambam said this was so. R. Menken: "The author cites many similar cases in which Chazal possessed knowledge of the physical world beyond that was known to other cultures. For example... but the Rambam explains that the reason why Chazal used the approximation if 3:1 is because the actual ratio cannot be stated definitively in any case." R. Slifkin: "For example, Rabbi Menken notes that an example of Chazal’s advanced knowledge of the natural world is that they presented Pi as being three, because this must have been because they knew it was an irrational number and cannot be expressed exactly!" I can understand if the exclamation point seems to cast doubt on what Rambam said about Chazal's understanding. But it's intended rather to refute the inference drawn from that claim. Did you not say Chazal's understanding of Pi is an example of their "advanced knowledge of the natural world?" That's all that R. Slifkin claims you said. You can quibble over "must have been" and failure to mention Rambam, but it's not much as straw men go. Anyone who knows R. Slifkin as well as you do knows that the Rambam is one of the LAST people he would mock. And he isn't; he's saying R. Meiselman has taken Rambam too far. He can't be walking back mockery he never made. I wish he were less abrasive, but I know I'd bristle at praise of an author who attacked me personally. You dismiss his hashkafa (or his brand of it) as rationalistic silliness, but he was gracious enough to defend yours (http://zootorah.com/controversy/InDefenseOfMyOpponents.pdf).